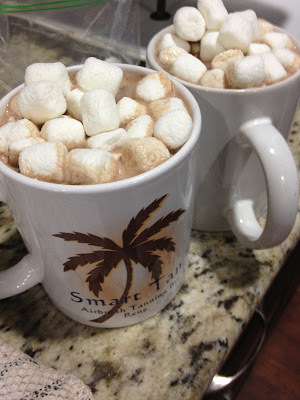 I have to honestly say that I have never in my life thought about making my own hot chocolate, but when the weather began to dip this week I felt a craving for some hot chocolate, having none, I began researching recipes to see if I had the necessary ingredients on hand. I was lucky, finding that I did indeed have everything I would need, and you probably do too. 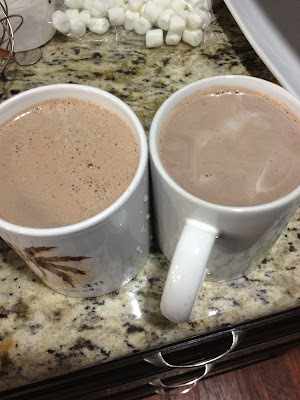 I only use regular 1/2&1/2 in my coffee each morning so I always have that on hand, it helps cool the hot chocolate and provides a rich creamy texture that is unlike any packet hot chocolate you have ever drank, but if you don't have any around just substitute with cold milk. 1/2 cup cold half-and-half cream, or more to cool hot chocolate to drinking temp. Combine the cocoa, sugar and pinch of salt in a saucepan. Blend in the boiling water. 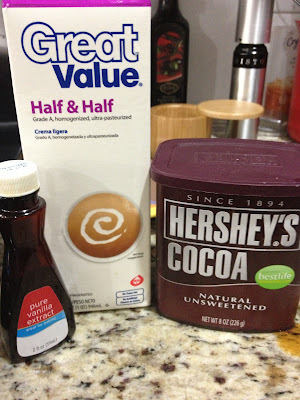 Bring this mixture to an easy boil while you stir. Simmer and stir for about 2 minutes. Watch that it doesn't scorch. 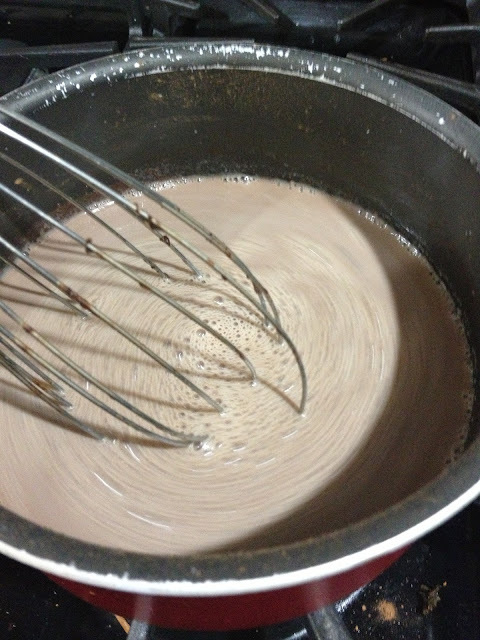 Stir in 3 1/2 cups of milk and heat until very hot, but do not boil!